Hello! We know how many hours you spent picking out perfect colours, flowers, votive candles and EVERYTHING else. Let us take care of making our booth and print outs match your beautifully perfect wedding too. All the fun with an extra side of pretty! You spent hours (if not months!) 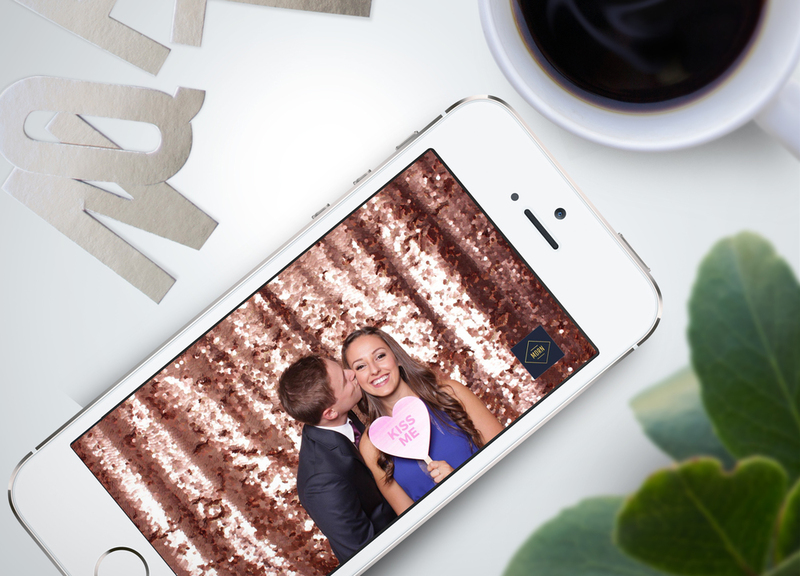 planning your perfect day and your photobooth should match. 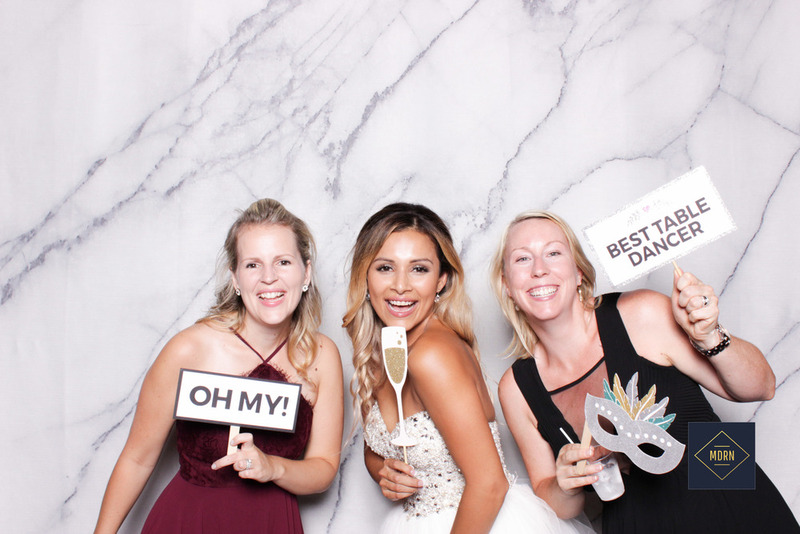 Let us match your invitation, style or event theme on all the photobooth screens. Our standard props are awesome but if you want to up the glam even more, our awesome Prop Master will design props just for your special day. From “inside joke” speech bubbles to themed props – you name it, we can make it! All our templates are designed in house specifically to your needs.  We have tons of layouts available to be customized to match your wedding style. We make your template just for you! What better way to remember all the silly faces your friends made (in your perfectly styled photo booth) then to get the pictures made into a photo album. It's like a yearbook of your wedding. If a picture isn't posted on Instagram, does it really even exist? Help your guests share all the awesomness of your day with customized text messages of their images. You can include any message you want and hashtags so you can find them after too! We have awesome wedding packages available but we know you have ideas too that may not be included in one of ours, so just let us know what you’re thinking and we’ll build one just for you! *UNLIMITED PRINTS INCLUDES ONE PRINT PER PERSON IN THE PICTURE. It may sound obvious, but don’t forget to pose for a photo yourselves! You get three snapshots per printout, so why not show off three very unique sides of your relationship? Whether sweet and romantic, or goofy and fun-loving, let your love shine through. They only get to wear those matching outfits once—so immortalize it! Fun poses include: bridesmaids “fighting” over the bouquet, groomsmen revealing superhero shirts under their suits Clark Kent-style, and the two facing off against each other à la West Side Story. If your parents are able to attend, make sure you don’t let them miss any of the wedding photo booth shenanigans! Throw in some cousins and relatives, and even your funny-smelling uncle, to make your booth a family affair! Everyone (well, almost everyone) loves adorable kids—get these two together for a doubly-adorable photo op, and warm the hearts of your guests. We offer a lot of great add-ons that can make your wedding photo booth experience even more memorable! Why not create a one-of-a-kind custom print template, throw in unlimited image prints, or design custom props just for you and your closest friends and family? And if you want to immortalize your photo booth wedding, we can even create a full-colour, hardcover custom album, just for you and your new partner, and some day your children and even grandchildren, to treasure forever.